When bhagavAn opines “Don’t worry that you don’t have anything favourable towards me; as long as you don’t have prohibited practices which will destroy the qualifications you may have earned, I will create virtues in you and will bestow the goal too”, ALavandhAr says “I am complete with unfavourable aspects”. mukundha – Oh lord who bestows liberation! Oh lord who bestows liberation! Those prohibited actions which were not performed by me thousands of times, are not present in SAsthram [world indicates SAsthram which conducts the world]; right now, when [such actions] culminate into results, I am crying in front of your highness, due to having no other refuge. sahasraSO yanna mayA vyadhAyi, nindhitham karma that lOkE nAsthi – Forbidden actions which are done by me thousands of times, athipAthaka (very cruel), mahApAthaka (greatly cruel) actions. They are not even highlighted in SAsthram. SAsthram may prohibit several actions, but a person need not engage in all such actions [I engage in all such prohibited actions]. 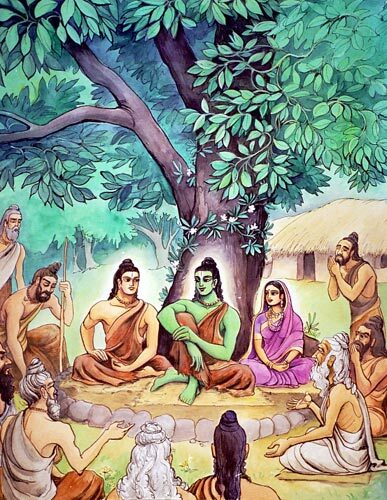 sOham – [such I] After engaging in such prohibited actions, I neither engage in atonement nor I have remorse for having done such actions. vipAkAvasarE – At that stage, when such actions reap their results which can only be experienced to have them exhausted. mukundha! – mukthi bhUmi pradha (Oh bestower of the land of liberation)! [Calling emperumAn by this name] After having realised that “your highness is the only means to uplift one who is such difficult state”. sAthvatha samhithA 16.23 “dhurAchArO’pi sarvASI kruthagnO nAsthika: …” (Even if one is engaged in forbidden activities, eats anything, ungrateful and atheist since time immemorial, if only he surrenders unto bhagavAn with full faith, consider him to be faultless by the greatness of bhagavAn); SrI rAmAyaNam yudhdha kANdam 18.3 “… dhOshO yadhyapi thasya syAth sathAmEthadhagarhitham ||” (I will never abandon this vibhIshaNa who approached me in a friendly manner. Whether he has faults or not, virtuous people will not condemn acceptance of him); SrI rAmAyaNam sundhara kANdam 38.35 “… vadhArham api kAkuthstha: krupayA paryapAlayath ||” (Though kAkAsura was qualified to be killed, SrI rAma, who is the apt refuge, saved kAkAsura by his own grace); yajur vEdham kANdam 6.5 “… thasmAdhapi vadhyam prapannam na prathiprayachchanthi” (Thus, one who takes shelter, even if he is a murderer, he cannot be exposed); ahirbudhnya samhithA 37.33 and 37.34 “anEnaiva prapannasya bhagavantham sanAthanam | thasyAnubandhA: pApmAnas sarvE naSyanthi thath kshaNAth || kruthAnyEna sarvANi thapAmsi thapathAm vara | sarvE thIrthAs sarvayagyAs sarvadhAnAni thath kshaNath || kruthAnyEthEna mOkshaScha thasya hasthE na samSaya: ||” (For the one who surrenders unto that ancient bhagavAn with this manthram, all sins are destroyed at once. Oh best among sages! he has performed all austerities, visited all holy rivers/abodes, performed all sacrifices and charities at once. mOksham (liberation) too is readily available for him. There is no doubt about this). agathi: – Other than your highness’s simplicity, considering my lack of refuge as the only reason [you have to protect me]. samprathi krandhAmi – Like those who have pursued difficult means, [without doing any of that] I am crying so loud so that you cannot conceal yourself from me and others will blame you with lack of good qualities [for not helping me]. thavAgrE – in front of your highness, who said [as SrI rAma] in SrI rAmAyaNam AraNya kANdam 10.9 “… hrIrEshA hi mamAthulA | …” (Oh sages! Let you all kindly be happy. Since I have been attained by you who are well qualified, I am feeling more embarassment than before). This entry was posted in Other, sthOthra rathnam on January 5, 2017 by Sarathy Thothathri.